July gardening chores run the gamut. If only July were more predictable in the garden. It doesn't matter how wet the spring was, rain can become very elusive in July. Humidity begins to peak. It's the beginning of the rainy season in Florida. And warmer zones are actually passing out of prime growing conditions into the lethargy of the dog days. So there's no definitive list of gardening chores for the July garden. Gardeners just have to play it by ear. Most importantly, keep a close eye on pests and disease, then sit back and enjoy your garden and all the efforts you put in earlier in the year to get it where it is now. Harvest daily. Some vegetables, like zucchini and cabbages, can mature in the blink of an eye. Don't let them get tough or split open. 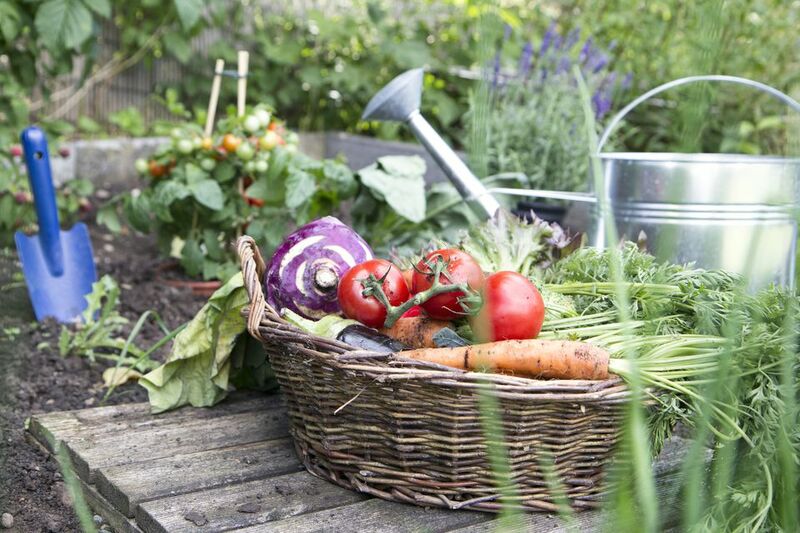 It can be too hot to grow vegetables this month in many areas. If that's the case, consider planting a quick cover crop, to feed the soil. Succession sow sunflowers (every 2 - 3 weeks) for a steady supply.